On 10 June, in Nice (France), as part of a series of events dedicated to the Days of Moscow, a presentation of tourism opportunities of the Russian capital, prepared by the Department of National Policy, Interregional Relations and Tourism of Moscow, took place. The event gathered the largest tour operators of the Côte d'Azur and representatives of the French and Russian press. As the representative of the Department noted in the welcome speech, the Russian capital became the most attractive area of international tourism. 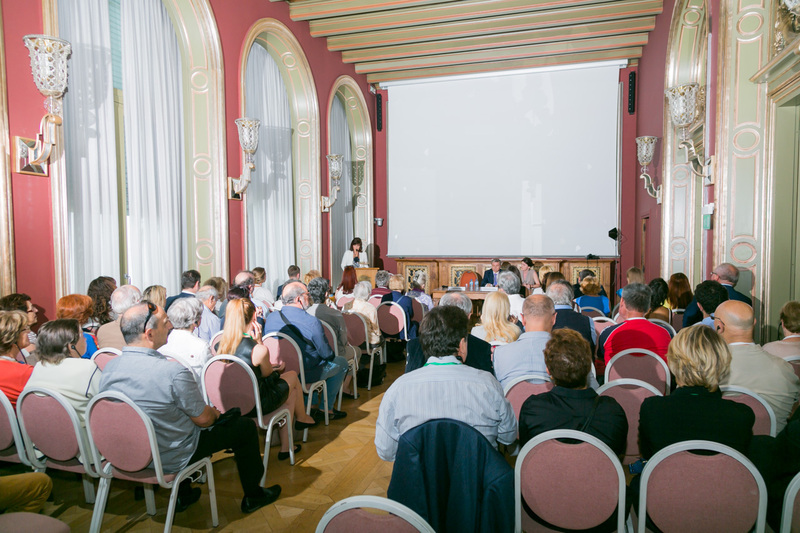 The choice of Nice as a venue for one of the events of the «Days of Moscow» series is not accidental. This is a city that for many years knows first hand what Russia and Russians are. It is not for nothing that Nice is called «the most Russian city in France». Already in the 19th century, Nice has become the most popular resort European direction for the Russian intelligentsia and aristocracy. In Nice lived and worked classics of Russian culture: Gogol, Tyutchev, Chekhov, Chagall, Bunin, Shalyapin, Diaghilev. Over the past few years, the Russian capital has undergone the global renovations of architectural monuments and unique city parks, new art galleries, world-class restaurants, new pedestrian and bicycle routes, and improved tourist infrastructure. Moscow is considered the most environmentally friendly city in Russia and has more than 400 parks, equipped in accordance with the latest urban trends. It is a city that has deservedly taken its place among the tourist capitals of the world. Moscow is the capital of a rich historical heritage, a variety of architectural monuments, gastronomy, shopping, high technologies, first-class comfort and service, sports and cultural events. Today Moscow offers not only well-known all over the world sights: the Kremlin, Red Square, the Novodevichy Monastery, Tverskaya Street and Arbat, the Vorobyovy Gory observation deck, the Ostankino TV tower - but recently opened after unique reconstructions Bolshoy Theater with world premieres, the largest in Europe The Cathedral Mosque, the Museum of the Cold War, the so-called Stalin bunker, located at a depth of 65 meters underground, the Planetarium, the Center for Contemporary Art, and equipped in accordance with the latest eco-systems architectural tendencies of parks, such as Gorky Park, updated VDNKh and others. Only according to official data in Moscow hotels stops more than 2 million visitors who visited it with business purposes. In particular, about 45% of tourists from France are «business» tourists. Every year more than 200 international exhibitions, hundreds of forums, congresses and conferences take place in the Russian capital. To meet the needs of this category of tourists, Moscow has a rich infrastructure: the city has successfully operated the largest exhibition grounds and congress centers, including those certified by international organizations. 27 international hotel brands such as Accor, Hilton Hotels, Hyatt International Corporation, Kempinski Hotels, Korston Hotels & Malls, Lotte Hotels & Resorts, Marriott International are represented in the capital by 39 hotels for 10 790 rooms. In total, there are more than 1000 hotels in Moscow. For example, the Metropol Hotel has developed a unique offer «Metropol and Bolshoi Theater - magic is very close». Guests of the capital have the opportunity to stay in the legendary rooms of the historic hotel Metropol and to visit the best theater in the country, and to receive great pleasure from the opera or ballet on its main stage. In Moscow it is possible to stay at night even in a museum. So, the hotel «Petrovsky Palace» is an operating museum and offers guests to plunge into the era of Catherine II and stay in the palace in the heart of the capital. Today hotels in Moscow are for every taste and, most importantly, any prosperity. It will not be difficult to find both cheap hotels and elite Moscow hotels with spacious rooms, conference rooms and luxurious restaurants. But even in this diversity the international Russian network AZIMUT Hotels is able to surprise its guests with a very competent combination of all characteristics. Throughout Moscow, there is free access to the worldwide Internet, including and underground, in the Moscow metro as the world's largest «underground palace». Here is launched a project of free Wi-Fi: a perfect example of a combination of old traditions and new technologies. For users of smartphones, interfaces for self-guided tours, taxi ordering and car sharing services are launched. Walking around Moscow is safe, because the tourist police work on the popular routes. It should be noted that thanks to the introduction of the «Safe City» program, the number of crimes in the city has significantly decreased. Over 200 thousand high-resolution video surveillance cameras are installed in underground transitions, underground and ground transportation, as well as on city streets and in buildings. A particular attention should be paid to the Moscow embankments, which are one of the main attractions of the city. Active work is underway to reconstruct them and now the main waterfront embankments have been transformed, in the evenings they are decorated with luxurious illumination. Such coverage of the main waterway of the city, you can safely say, there is nowhere in the world. In Moscow, there is a special tourist product: a combined ticket for a day, which allows you to travel around Moscow both on a boat and on double-decker tourist buses. The program involves 15 tourist buses and 40 motor ships. A feature of the Moskva River excursion offer is year-round navigation. This became possible thanks to the Radisson Royal Flotilla, which includes 10 yachts of ice-breaker class with restaurant service on board. Every day yachts make sightseeing and entertainment flights along the Moskva River, allowing for 1.5 or 2.5 hours to see the main sights of Moscow: the Kremlin, Novodevichy Convent, the monument to Peter the Great, St. Basil's Cathedral, the University and other iconic objects of the historic center of the city and all this without traffic jams and with an excellent perspective. Every year in Moscow there is a large number of events, including sports. Only in 2016 it is planned to hold 64 major sporting events, including 6 marathons, registration for which is already open. Active preparation for the most important events in the world of sports is being conducted: matches of the FIFA Confederations Cup in 2017 and the World Cup in 2018. First of all, it concerns the reconstruction and preparation of the main sports facilities of the capital - the Spartak stadium and the Luzhniki arena. For the guests of the 2018 FIFA World Cup, the special excursions will be prepared at the sports facilities. The routes for «sports tourism» can include stadiums and ice palaces, swimming pools and tennis courts. Tourists will be told about the history of sports and performances of famous athletes. We can not fail to mention the capital Christmas festivals, which attract a large number of spectators, including tourists from regions and from abroad. The total number of visitors to the fairs of the festival «Journey to Christmas» season of 2015-2016 amounted to 11 million people, 4 million of them were the guests of the capital. Annually in the autumn, the Festival of Light takes place in the capital, which is loved both by muscovites and tourists. Last year, the event, which lasted more than a week, was visited by about 7 million spectators. The venues of the festival were located throughout the city. Last year, a video projection on the facade of the complex of buildings of the Ministry of Defense of the Russian Federation fell into the Guinness Book of Records, as it became the largest in the world. Its area was more than 19 thousand square meters. To demonstrate the 60-minute performance, 140 video projectors, more than 650 lights, were used. «Moscow is able to receive guests at any time of the year and is ready to meet the demands of the most demanding and sophisticated tourists. And those who have long wanted to get acquainted with Russia - a hospitable, original, ancient and at the same time modern country - it remains to take the last step on the way to Moscow this - to buy a ticket and to come to our city», said a representative of the Department of National Policy, Interregional Relations and Tourism in the City of Moscow. Natalia Marzoeva as the special guest of the conference and organizer of the Russian-French gastronomic seasons, spoke about gastronomic traditions, novelties and interesting restaurant routes of Moscow. «Speaking of the Russian-French culinary friendship one can not help mentioning the famous weeks of French gastronomy, held in Russia every ten years from 1862 to 1912. This was one of the signs of eternal reconciliation between France and Russia after the war of 1812. «The peaceful battles of French cuisine with a Russian stomach», as S. T. Aksakov wittily christened them, were participated by the best chefs of France participated. The weeks of French cuisine in different years were visited by Katkov, Skobelev, Turgenev, Przhevalsky, Witte, Morozov, Chekhov, Doroshevich…», said Natalia. Like all the capitals of the world, Moscow reflects and collects in itself all the most interesting. In Moscow, you can get acquainted with the variety of gastronomic traditions of the country. This is also the cuisine of the peoples of Central Asia, Caucasus, Far East and Siberia. Each of these regions has its own products and culinary traditions, which kindly provides an opportunity to get to know the capital of the country. Moscow is a city of historical and legendary Russian restaurants. First of all, this is the CDL, Pushkin, and Yar. They attract muscovites and guests of the capital not only with the architecture and interior decoration of the halls, but also with involvement in history. After all, these places were visited by many outstanding representatives of Russian art and literature. Another trend is that the Russian cuisine is again in vogue, the recipes are being revised and updated, new chefs are appearing, the Russian products are much more used. Natalia Marzoeva noted that «Russian chefs are reviewing traditional recipes, adapting them, modernizing. Eventually, interesting dishes appear, worthy of author's restaurants. I will not single out anyone specially, but I'm glad that there are bosses whose names are already known outside of Russia. They are Andrey Shmakov, Ivan and Sergey Berezutsky, Volodya Mukhin, Ivan Shishkin, Ilya Zimin, Konstantin Makridin. It is very pleasant that foreign chefs work in Moscow and open their restaurants.